The SM58, descendant of the 565, is the studio sound solution that decimated the toughest problems in live sound. Studio mics in the 1950s and 1960s captured vocals accurately but were notoriously fragile. Plus, studio lights created a glare when they landed on the shiny microphone housing. Shure engineer Ernie Seeler and his team created the ideal live vocal microphone in trying to solve studio mic durability and design problems. The SM58’s ball-shaped and lined grille reduces wind and breath noise and plosive popping, making the mic better suited for vocal applications than its SM57 sibling. But the “guts” of the SM58 and SM57 are from the same design. 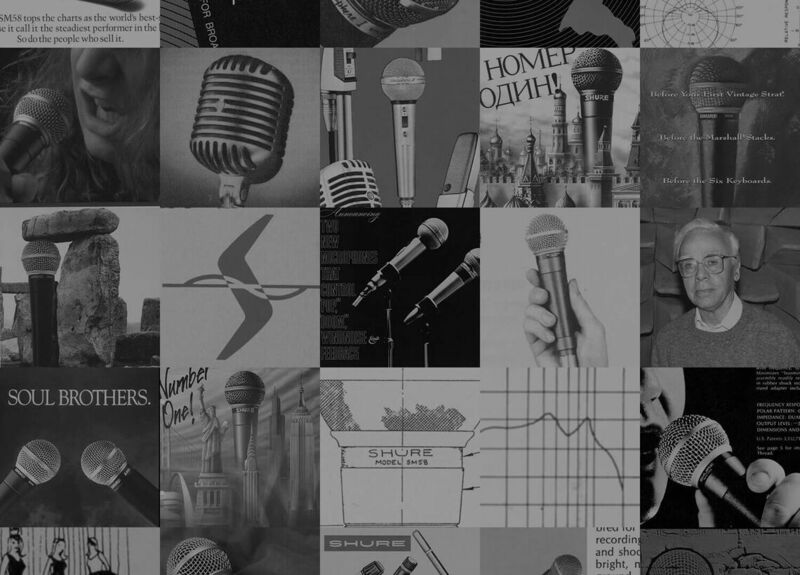 The SM58’s destiny as an iconic live vocal microphone was not unprecedented, despite the mic’s original designation as a studio tool. The SM58 is a direct descendant of the 565, which was the first microphone to feature the Unisphere®ball grille that has since become the standard grille shape for live vocal mics. By the time of Woodstock in 1969, the 565 was entrenched in the live sound community as the handheld vocal microphone of choice. 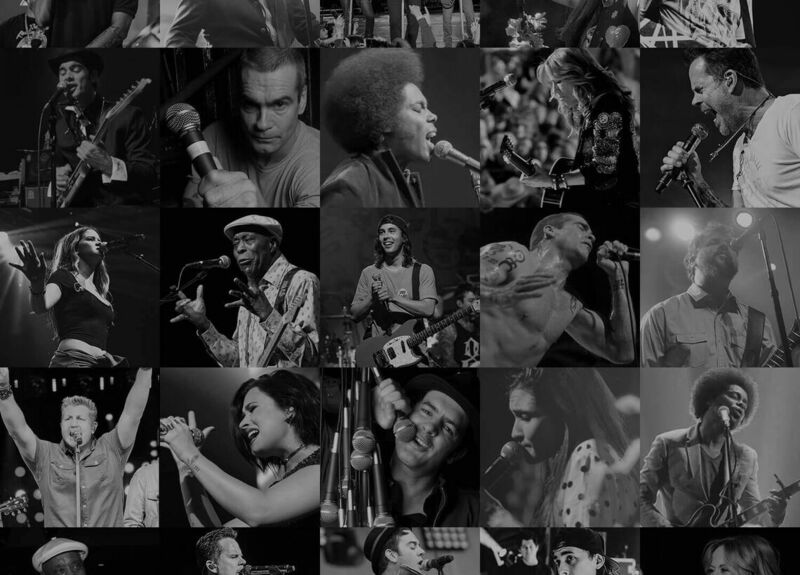 The performance style of lead singers was evolving too. Prior to the development of the handheld vocal microphone, singers stood behind a microphone mounted on a stand. The handheld 565 gave singers freedom to roam the stage, but this created new dangers of feedback and handling noise. The SM58’s consistent cardioid polar pattern, high gain-before-feedback, and groundbreaking integrated pneumatic shock mount greatly eliminated these problems, allowing vocalists to focus on connecting with their fans without worrying about mic performance. Plus, the tailored frequency response, lightweight build and ergonomic handle made the SM58 sound and feel like an extension of the singer’s voice rather than a tool separate from themselves. That doesn’t mean nothing has changed in the way Shure makes SM58s. Dramatic innovations in materials and manufacturing processes have been integrated into the SM58s born every year since 1966. Plus, Shure subjects the SM58 to a ruthless battery of military supplier-grade tests year in and year out - the materials, the parts, and the fully assembled microphone. It never gets a break, so it never breaks. 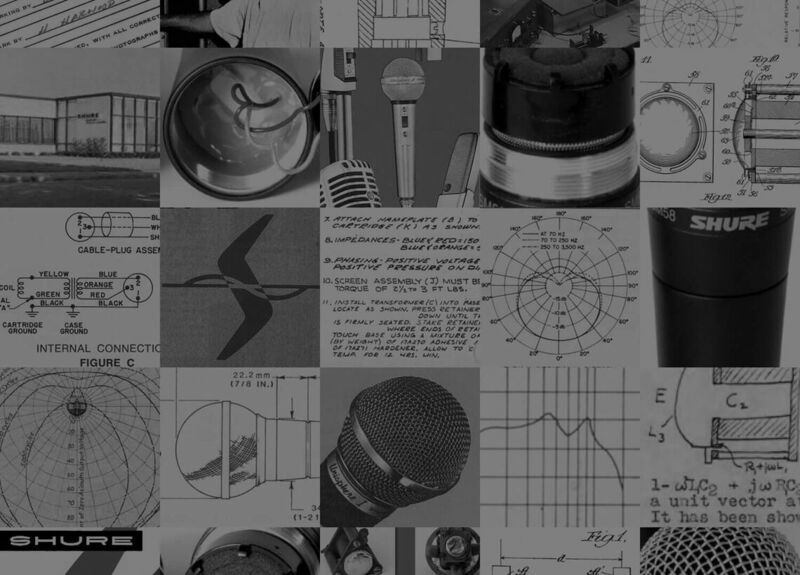 Get the complete history of the SM58 in our 60-minute archived webinar, The Story of the SM58.